Migratory fish populations are impacted worldwide by river impoundments. Efforts to restore populations will benefit from a clear understanding of survival and migration process over a wide-range of river conditions. We developed a model that estimates travel time and survival of migrating juvenile salmonids (Oncorhynchus spp.) through the impounded Snake and Columbia rivers in the northwestern United States. The model allows users to examine the effects of river management scenarios, such as manipulations of river flow and spill, on salmonid survival. It has four major components: dam passage and survival, reservoir survival, fish travel time, and hydrological processes. The probability that fish pass through specific routes at a dam and route-specific survival probabilities were based on hydroacoustic, radio telemetry, PIT tag, and acoustic tag data. We related reservoir mortality rate (per day and per km) to river flow, water temperature, and percentage of fish passing through spillways and then fit the relationships to PIT-tag survival data. We related fish migration rate to water velocity, percentage of fish passing through spillways, and date in the season. We applied the model to two threatened “Evolutionarily Significant Units” (as defined under the US Endangered Species Act): Snake River spring/summer Chinook salmon (O. tshawytscha Walbaum) and Snake River steelhead (O. mykiss Walbaum). 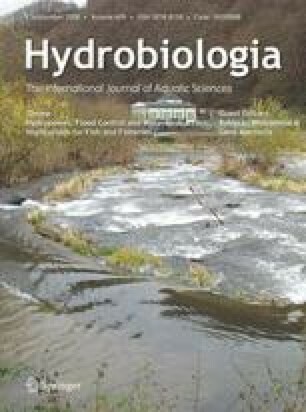 A sensitivity analysis demonstrated that for both species survival through the hydropower system was responsive to water temperature, river flow, and spill proportion. The two species, however, exhibited different patterns in their response. Such information is crucial for managers to effectively restore migratory fish populations in regulated rivers. Scientists throughout the northwestern United States have contributed to the COMPASS model: Ron Boyce, Dave Clugston, Brad Eppard, Kim Fodrea, Steve Grabowski, Steve Haeseker, Fred Higginbotham, Dave Hurson, Rick Kruger, Mike Langeslay, Tom Lorz, Jerry McCann, Paul Ocker, Charlie Paulsen, Charlie Petrosky, Kris Ryding, Mark Scheuerell, Ann Setter, Marvin Shutters, Earl Weber, Tim Wik, John Williams, and Paul Wilson. Valuable reviews by the Independent Scientific Advisory Board (ISAB) and two anonymous reviewers greatly improved the model and this article. Anderson, J. J., N. Beer, T. Frever, J. Hayes S. Iltis, M. Moore, D. Salinger, P. Shaw, C. Van Holmes, & R. Zabel, 2000. Columbia River Salmon Passage Model CRiSP.1.6 Theory and Calibration. Published on line by University of Washington Columbia Basin Research http://www.cbr.washington.edu/crisp/models/crisp1manual/theory16/.